Lubricants Works Great For Alloy Wheels, Low Profile And Run Flat Tires. Extra-slippery lubricant is used for mounting tires with stiff beads and to aid in bead seating. Prevents rim slippage and rust. No water or mixing required. Use directly from the container. Apply with Application Brush (sold separately). 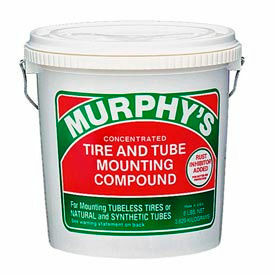 Protects Tire Beads And Tubes When Mounting And Demounting Tires. Quick and easy to mix and ready for immediate use. The chance of damaging bead or tube during mounting procedure is reduced with the use of Myers compound. 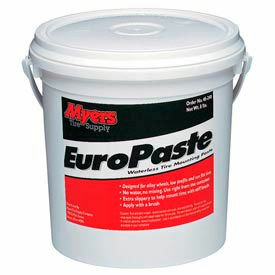 Economical, long lasting compound with a rust inhibiting finish.